The practice consists of three specific intentions: appreciation, kindness and generosity. When we practice appreciation, we choose to consciously recognize the value of the people and things around us. This recognition leads us naturally to the practice of kindness, blessing those around us through our words and actions. Generosity is kindness taken to the next level. It is grounded in the intention to give abundantly at every opportunity. So what makes this practice transformational? As human beings, we have both a human nature and a spiritual nature. The ultimate purpose of every life is to bring forth a state of balance in which we live fully and consciously from both our human and divine nature. Our human nature, which we will refer to as ‘ego’ is always concerned about its own self-interest. It wants what it wants and avoids what it doesn’t want. When we are identified solely with the ego, we are always trying to prove we are right, we are good, and we are in control. Please note, it is important to have a healthy ego. It allows us to be human. And, it is equally important to remember that we are more than our ego. 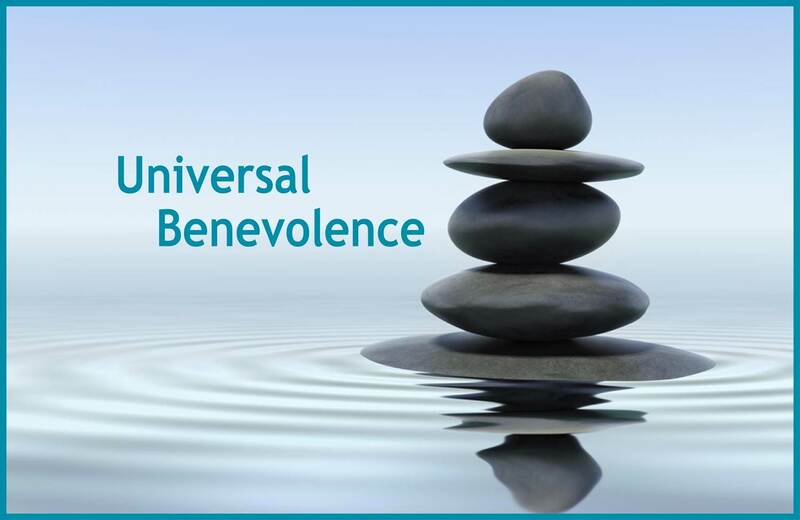 In those moments when we are consciously living from Spirit, we naturally express Universal Benevolence. In those moments, it is our natural state of being. The rest of the time, we practice. Appreciation draws our attention to the value and positive qualities of others. Kindness teaches us to focus on the needs of others as much as our own needs. And generosity transforms fear of lack into a consciousness of sharing and giving. Robert Brumet points out that a common synonym for generosity is ‘magnanimity’, which literally means ‘having a great soul’. 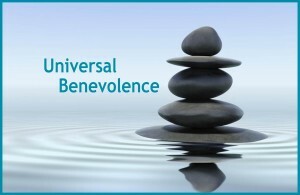 As we practice Universal Benevolence, we increase our ability to express God.